Photo: Hasni Zarina Mohamed Khan, Managing Director of Salam Web Technologies MY Sdn. Bhd. Photo supplied by Salam Web Technologies MY Sdn Bhd. The internet brings an avalanche of information – good, bad and in between. For Muslims around the globe, there is a societal need to preserve good values through positive online experiences. Inspired by this, SalamWeb Technologies MY Sdn Bhd (SalamWeb) launched an Islamic based suite of services endorsed by Amanie Shariah Supervisory Board, in conformity with Malaysia Digital Economy Corporation’s (MDEC’s) Islamic Digital Economy Guide. The suite includes the SalamWeb Browser, SalamNews, SalamChat and SalamSadaqah for Muslims to discover, connect and contribute in a free, safe online environment. The launch of SalamWeb was attended by managing director of SalamWeb, Hasni Zarina; chairman of Amanie Group, Dr. Mohd Daud Bakar; vice president of growth ecosystem of Malaysia Digital Corporation (MDEC), Norhizam bin Abdul Kadir; managing director of fashion brand Mimpikita, Nurul Zulkifli; and Malaysian artist, Caprice. What does SalamWeb have to offer? Designed to optimise the Islamic way of life, the SalamWeb Browser features Qibla (prayer direction) compass, prayer timings, Salam News which is a custom news feed aggregated from verified news sources, and SalamChat, a localised chat function to connect like-minded individuals. The browser includes SalamProtect, a content filter that alerts users on inappropriate content providing them with an option to either continue ahead or withdraw from content that could potentially be explicit, offensive or fraudulent. Users are also allowed to assign a SalamTag to a website to flag it as appropriate, neutral or inappropriate. Each tag is reviewed against SalamWeb’s internal processes and guidelines. “Users’ input will be channelled to our backend and if there is a certain amount of feedback received that flags suspicious content, our team will investigate,” shared Faisal Khalil, marketing director of SalamWeb. To incentivise users, the browser also incorporates the Islamic practice of voluntary charity through SalamSadaqah. Each web search or content report made by users, will be matched to a donation amount made by SalamWeb. “You are already using the internet. The only difference with SalamWeb is you continue doing what you’re doing but every single action you take actually contributes to the progress of the donation campaigns,” explained Faisal. Launched in Malaysia, SalamWeb products are available worldwide to anyone, anywhere and can be downloaded here. KUALA LUMPUR – Salam Web Technology Dubai will invest around $15 million to develop features and introduce new products in the next three to five years, to add to the ‘Shariah-compliant’ web browser it launched in Malaysia on Jan 17. 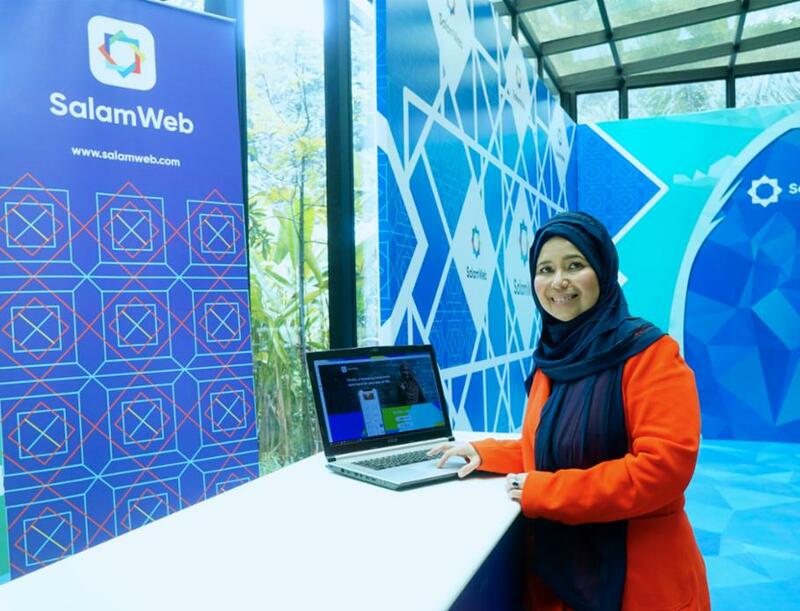 Managing Director of Salam Web Technologies MY Sdn Bhd, Hasni Zarina Mohamed Khan, told Salaam Gateway in a written response to questions, that the browser will currently focus on Muslim markets – Malaysia and Indonesia. “However, SalamWeb products are available to anyone, anywhere and it has been well-received globally,” she said. Mashaa Allah, very nice idea, go ahead, me and alot of people here in Egypt encouraging you.